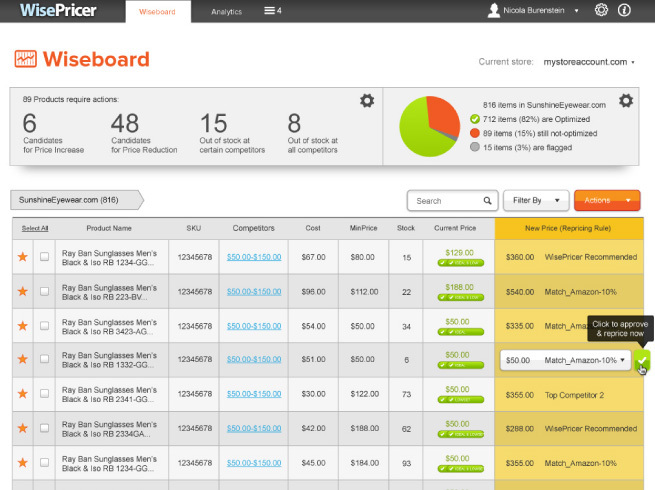 Wiser's dynamic pricing engine, WisePricer, is a full featured pricing and merchandising platform for online retailers. Optimize product pricing with competition-based or performance-based repricing rules. Track competitors' pricing and get alerts when your pricing becomes uncompetitive. Respond in real-time with automated pricing and watch your sales and margins soar. By combining comprehensive data with powerful, easy-to-use features, WisePricer takes the guesswork out of pricing and enables your business to be price competitive in real-time. 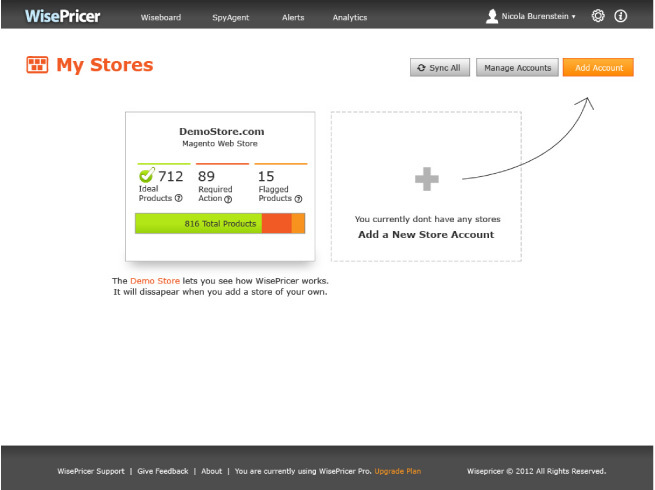 Storefront sync works for your online store instantly, without the hassle of file and product imports. 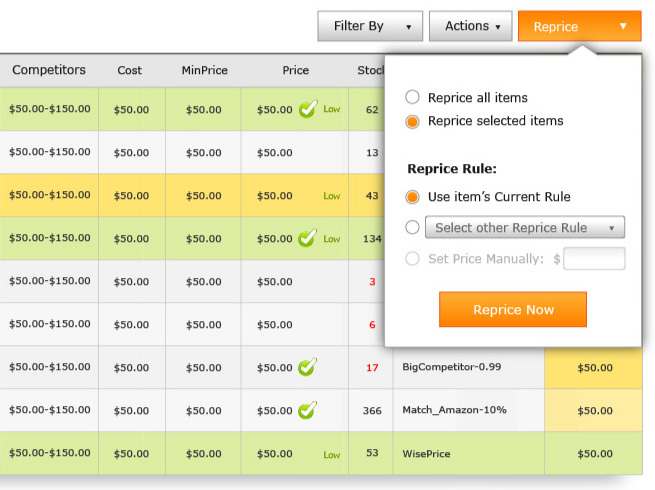 One-click repricing with various automation options. 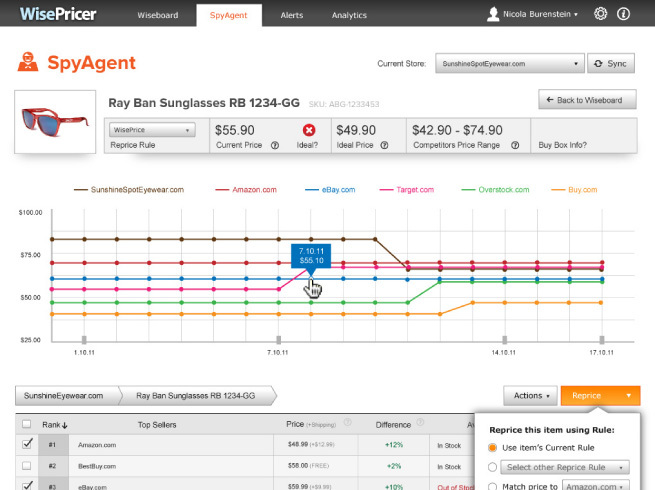 Price history analytics (SpyAgent) gives you in-depth analytics with advanced product and price reporting. Answerbase helps you answer your customers' product-related questions while growing relevant user-generated content that attracts more customers and lead to more sales.